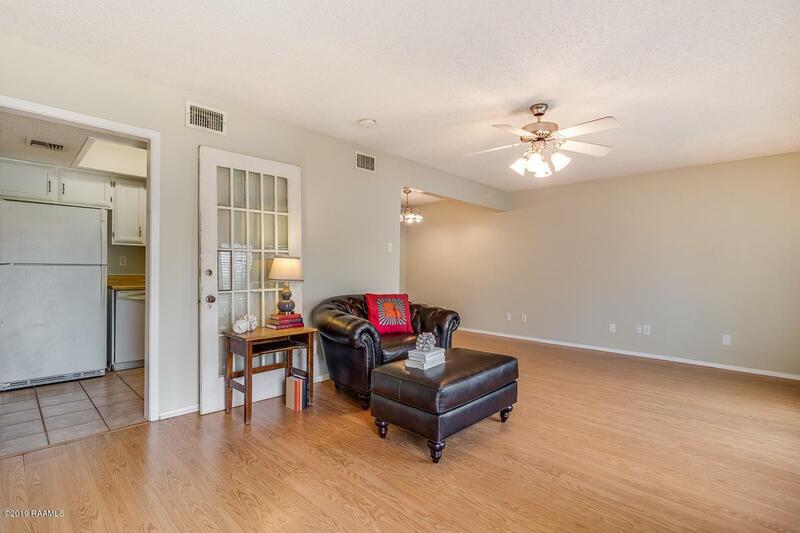 We offer you this clean, well-maintained condo with completely fresh interior paint throughout! 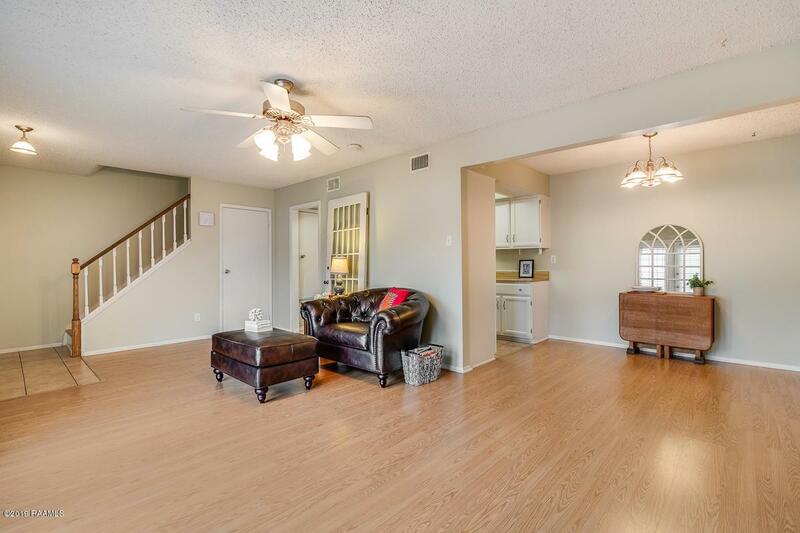 Downstairs there is great flow between the living room, dining area, efficient galley kitchen & adjacent half bath. A wall of windows in the living area takes in great natural light and creates cool connectivity with the huge open patio! Upstairs, 2 bedrooms, full bath & laundry room (so convenient!) 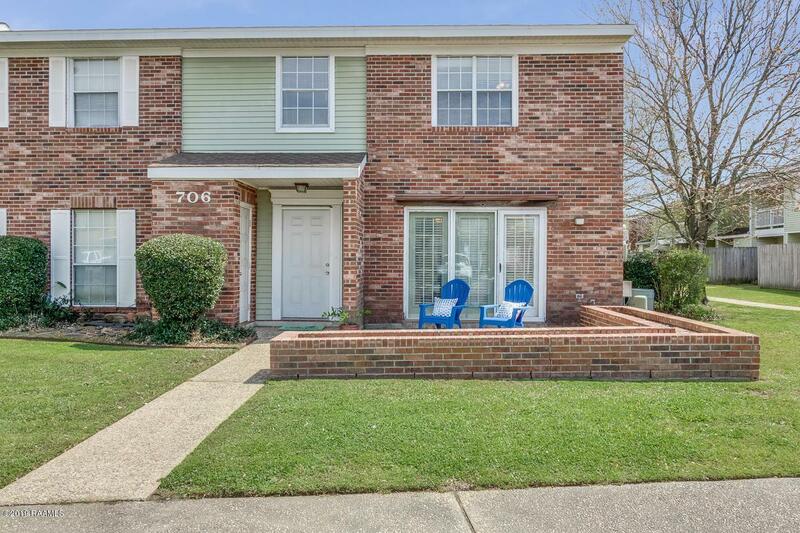 An end unit with only one immediate neighbor & front-door parking. This neighborhood is well looked after with nice greenery and has a pool for you and guests! Dues include water, sewer & trash bills, exterior insurance & maintenance, groundskeeping & more. 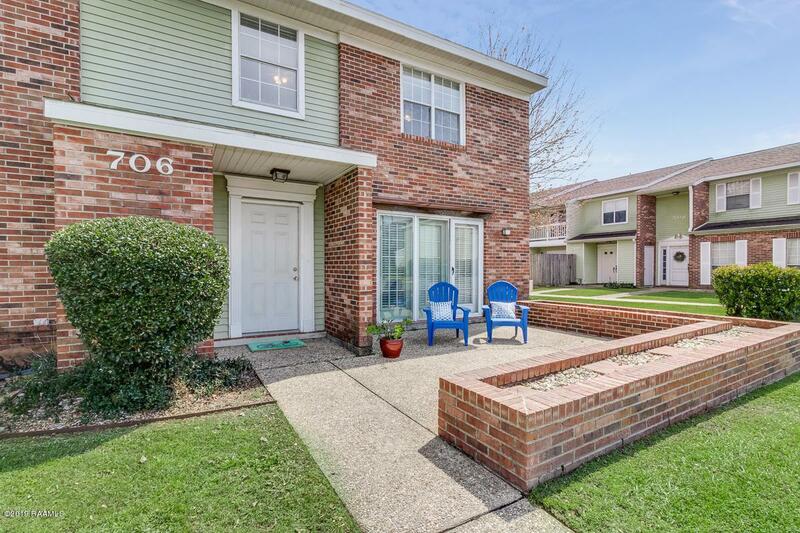 Wonderful location with major central Lafayette roadways around: get to UL or the interstates in minutes. No flooding here & no flood ins req'd.